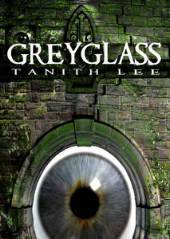 Greyglass is a small, quirky book. Not quite a ghost story and not quite a character study novel. It has elements of Gothic literature and moments of offbeat, distinctly British humor. In many ways, it reminds one of the uncategorizable novels of Jonathan Carroll or Jeanette Winterson but with its own unique flavor. The supernatural element–the seemingly sentient house–while integral to the plot, reflects the disturbed mother-daughter relationships that are at the heart of this novel. While there are men in the novel, it mostly explores female bonds–familial, friendship, love, betrayal and even hate. It moves quickly for a mostly interior novel, mostly due to the exquisitely crafted language. « New Craig Gidney Interview at the Hathor Legacy!